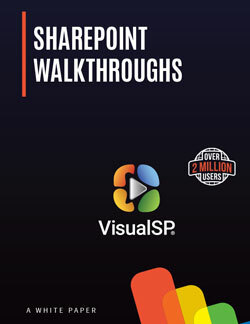 Many organizations that have invested in Microsoft SharePoint continue to face a common roadblock: how to effectively and efficiently on-board employees to SharePoint 2010, SharePoint 2013, SharePoint 2016, SharePoint 2019 or SharePoint Online—so they can do their jobs with minimum friction. Make new processes easy to learn without help desk assistance. Find out how organizations around the world are providing users with the step-by-step guidance they need. This White Paper discusses the challenges and solutions to help your organization address user adoption, on-boarding and training within SharePoint and Office 365.